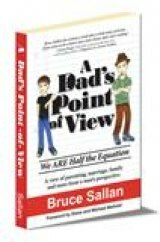 If you're looking for a touchy-feely, "I'm your buddy AND your dad" approach to parenting in Bruce Sallan's "A Dad's Point-of-View: We ARE Half the Equation" (JuneDavid Publishing, 264 pages, $19.95, discounted on Amazon, Kindle $7.79; from the author: website special is $12.95 and includes its companion poster http://brucesallan.com/index.php/store ) forget about it! If Amy Chua is the Tiger Mother of parenting, Bruce Sallan is the Lion King on skis. Sallan's column editor, Marv Essary, has never met him or even talked to him on the phone; they've communicated via e-mail. Talk about six degrees of separation! Marv Essary was my contact person at the sadly defunct Chronwatch website in Northern California, and I never met him or even talked to him on the phone. We communicated virtually via my Macs and whatever computer Marv uses (I hope Macintosh!). I miss Chronwatch as a venue for my book reviews. The same goes for Bruce Sallan: our communication has been solely via email. 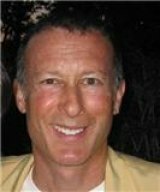 Greater Los Angeles resident Bruce Sallan is in his 50s -- I'm guessing more late 50s than early -- and he's the dad to two teen-age boys, David and Will, pseudonyms, and he's married to Lauren, also a disguised name. Lauren is a Canadian of Chinese ancestry and married Bruce late in 2008. They're both avid skiiers, but from the way daredevil Bruce describes his half-pipe skiing, I'm guessing Lauren is much more conservative on the slopes. I hope so! I've tried to convince this refugee of TV movies and series (for more about his illustrious career and a list of his movies, click on: http://en.wikipedia.org/wiki/Bruce_J._Sallan) to take up the only type of skiing I've ever done, nordic or cross-country skiing, indulged in first in Wisconsin, then in California where I skiied above Palm Springs, at Wrightwood and at Mammoth Mountain, and finally in West Virginia. Bruce writes about his skiing adventures and misadventures in this very entertaining book (you can tell he was in the entertainment business by his writing style) and he refuses to try cross-country skiing where you have to ski up hills (lifts are for wusses!) as well as down them. It's as much a rigorous form of exercise as a sport. After his first marriage broke up and Bruce became a SAHD (Stay-at-home-dad), he learned by trial and error the advice, insights, and a reality check on family-related subjects as well as the bigger issues of life, morals, and faith that he serves up in "A Dad's Point-of-View." He shares real stories that are sure to have you saying out loud, "I know exactly what you're talking about, Bruce!" The book is written from a man's perspective, but it should appeal to single-parent women. It takes you inside the life of one dad, one man, as he deals with everyday life and more. After reading this book, you'll know you aren't alone in your parenting journey and feel more confident in knowing it truly is possible to raise respectable young men and women in today's society. Bruce came late to parenting, after his 40th birthday, so his advice will resonate with older fathers, but it sounded good to this non-parent (my wife of 46 years and I decided early on that we didn't want to be parents). Bruce tells of the unease he felt among female single parents and how they resented him. Maybe they were taking out their hostility toward men in general on this nice guy. Who knows and who cares? 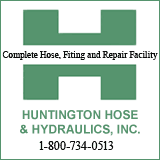 When I first saw Bruce's column more than two years ago, I told Huntington News Network publisher Matt Pinson that we needed this column on HNN. We were one of the first news sites to run it and it's a weekly, well-read feature on the site. "A Dad's Point-of-View" is both an outstanding column and a book that will appeal to a wide variety of people, especially, but not limited to parents. For instance, Chapter 9 deals with friendship (the theme song from "My Friend Irma" -- "Friendship, Friendship, just a perfect Blendship...." runs through my cranium whenever I think of this subject. I was an addict of radio serials, especially "The Lone Ranger," and "Sgt. Preston" on WXYZ out of Detroit growing up on a Michigan farm). I was especially drawn to the section in the book where Bruce befriends a man in Ghana and sends him books and toys to be used in his school. Check out pages 158-161 in the book, a section that inspired me so much than I'm gathering some surplus books to send to Frank Bennin, P.O. Box 719, Agona, Swedru, Ghana. An international Priority Mail Medium Flat Rate Box from the U.S. Postal Service costs $45.50; the cost of an international Priority Mail Large Flat Rate box is $58.50 at the post office.